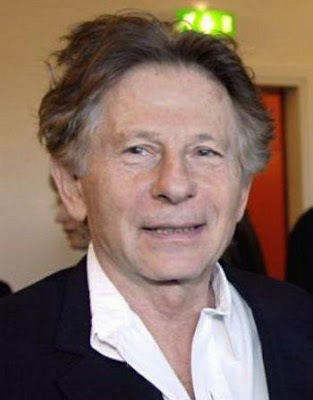 Just weeks after the release of his latest film The Ghost, Roman Polanski has finally spoken out against his Swiss arrest and pending extradition to the United States of America. Throughout my seven months since September 26, 2009, the date of my arrest at Zurich Airport, where I had landed with a view to receiving a lifetime award for my work from the representative of the Swiss Minister of Culture, I have refrained from making any public statements and have requested my lawyers to confine their comments to a bare minimum. I wanted the legal authorities of Switzerland and the United States, as well as my lawyers, to do their work without any polemics on my part. I have decided to break my silence in order to address myself directly to you without any intermediaries and in my own words. It is true: 33 years ago I pleaded guilty, and I served time at the prison for common law crimes at Chino, not in a VIP prison. That period was to have covered the totality of my sentence. By the time I left prison, the judge had changed his mind and claimed that the time served at Chino did not fulfill the entire sentence, and it is this reversal that justified my leaving the United States. This affair was roused from its slumbers of over three decades by a documentary film-maker who gathered evidence from persons involved at the time. I took no part in that project, either directly or indirectly. The resulting documentary not only highlighted the fact that I left the United States because I had been treated unjustly; it also drew the ire of the Los Angeles authorities, who felt that they had been attacked and decided to request my extradition from Switzerland, a country I have been visiting regularly for over 30 years without let or hindrance. I can remain silent no longer because for over 30 years my lawyers have never ceased to insist that I was betrayed by the judge, that the judge perjured himself, and that I served my sentence. Today it is the deputy district attorney who handled the case in the 1970s, a man of irreproachable reputation, who has confirmed all my statements under oath, and this has shed a whole new light on the matter.